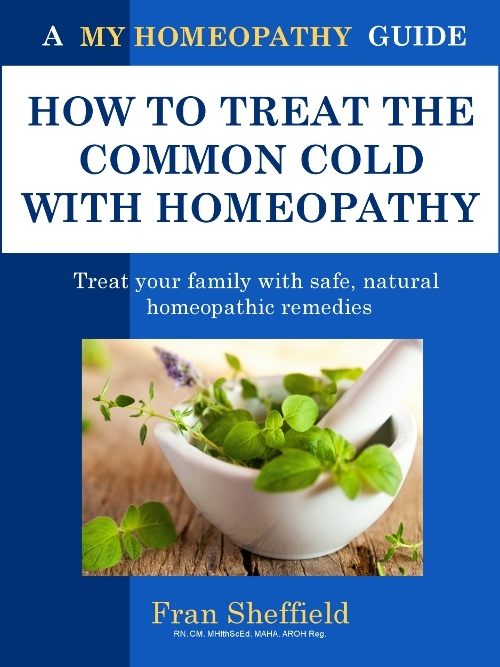 (The following extract is from the eBook – How to Treat the Common Cold with Homeopathy. The following treatment stories are from real people with real colds. 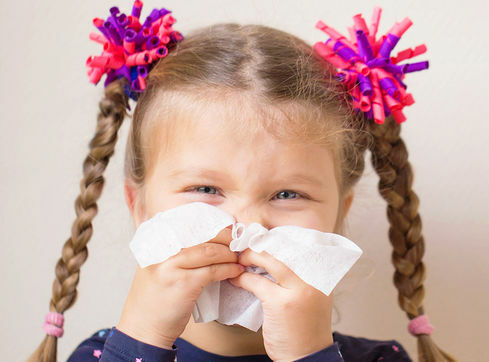 They will help you recognise the remedy needed by each symptom group so that if you have the same sort of cold now or in the future, choosing the correct remedy will be easier. Each story is headed with the main symptoms – those symptoms that must be a part of the chosen remedy. I have included information at the end of each story on how long it took for the patient to recover, so that you will also know what to expect. Why not practice your prescription skills by skipping ahead to the remedy list in Chapter Nine to see if you can identify the correct remedy before it is revealed in each story? On a cold and windy day, six-year-old India spent the late afternoon playing with autumn leaves in the garden. When her mother put her to bed that evening, she noticed India’s face was a little flushed. By midnight, India was awake, agitated and screaming. Her nose was running and one cheek was bright red. Her skin felt hot and dry and she was anxious and restless. India downed a glass of water, but screamed in panic when her mother left the room to get the family’s homeopathy kit. Her mother gave her Aconitum napellus. Within minutes, India stopped crying and asked for another drink. Fifteen minutes later, she was snuggled under her blanket and ready to go back to sleep. By morning, it was as if nothing had happened. Natalie, age thirty-eight, came to see me complaining of a sore throat which only felt better for sips of cold water, and a runny nose with burning discharge. The watery mucus had scalded her nose and upper lip, leaving them red and sore. Natalie had not slept well the previous night and had gotten up several times, worrying that the cold could turn into something worse. When she saw me, she was tired, edgy and still restless. She complained of feeling very chilly and, even though the room was comfortably warm, wore a warm coat and scarf. While explaining her symptoms, Natalie appeared to be anxious and irritable. I prescribed Arsenicum album. By the next morning, Natalie’s sore throat was much better and she was feeling calm. All symptoms of the cold were gone by that evening. Brad, forty-two years old, caught a cold five days previously and was exhausted. Since he’d caught the cold, chills had been running up his spine and a headache, which had started in the back of his head, was now lodged behind his eyes. When he came to see me he sat slumped in the chair with his head bent forward and eyes half closed. His answered my questions slowly, and said it had been hard to come to the appointment as his legs trembled when he walked, but he had made the effort as the cold seemed to be turning into bronchitis. I gave David a remedy called Gelsemium sempervirens. Within two hours his headache and chill had settled and his strength was returning. Three days later he was back at work with no trace of the cold. Jordan, four years of age, was brought to see me by his mother. He had caught a cold three days earlier and his symptoms were now becoming severe. His throat was very sore, making it almost impossible for him to swallow. As a result, he had stopped eating and would only sip drinks. I examined his neck and felt swollen, enlarged glands. Looking at the back of his mouth, I could see white ulcerated patches on his tonsils. Jordan also had bad breath and a swollen tongue. His mother said he had been dribbling since the infection. I gave Jordan Mercurius solubilis. By that evening he was able to eat a small meal. He continued to improve over the following day and, by the next day, his mother reported that all was well. Eight-year-old Emily was brought to see me for conjunctivitis that started with a cold. Her eyes were red, swollen, and had a yellow-green discharge. Her mother described how upset and clingy she had been since the cold. She wanted to be cuddled and carried, and if she didn’t have her mother’s constant attention she would weep. During the consultation, Emily sat on her mother’s lap and regularly asked her to wipe her nose. Her mother said the yellow-green mucus was always worse in warm, enclosed rooms but seemed to lessen in fresh air. She was also worried about how little Emily wanted to drink. The remedy I gave for both the conjunctivitis and the cold was Pulsatilla pratensis. By that afternoon, Emily’s eyes were looking much better, her nose seemed to be drying and she was less needy and emotional. Symptoms continued to improve during the following day and, by the day after, were gone altogether. (The above extract is from the eBook – How to Treat the Common Cold with Homeopathy.